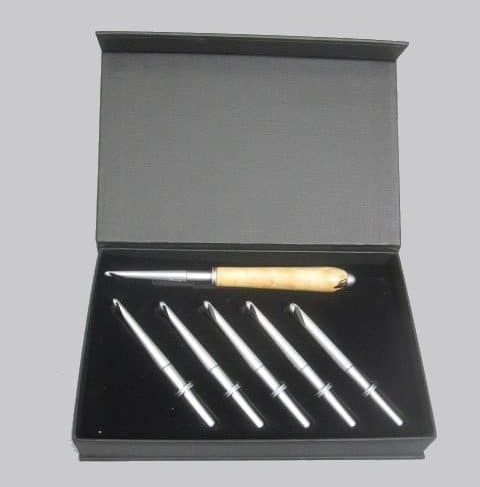 This is a lovely 7-piece crochet kit. It includes (1) wooden handle, (6) aluminum crochet hooks ( C thru H ) and (1) storage box with spaces for all the hooks and the handle. The handle is turned from Ozarks wood and finished with several coats of shellac. The hooks are interchangeable and each will fit into the handle. Standard handles are 3″ long, making the overall length of the assembled hook/handle 6″. Longer handles are available on request.